Holiday shopping isn’t what it used to be. 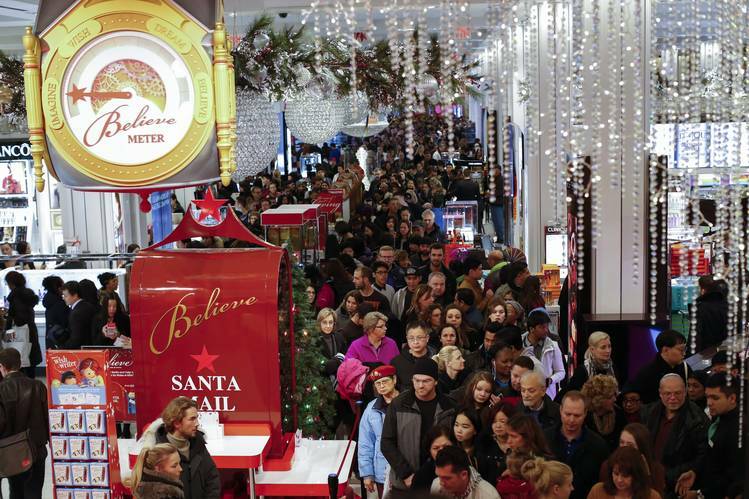 This year, crowds at malls were thinner and stores were calmer over the Black Friday weekend. But online shopping, especially on mobile phones, surged as more retailers offered the same promotions online, often before items became available in stores and shoppers relished the joy of grabbing a deal while lounging at home. 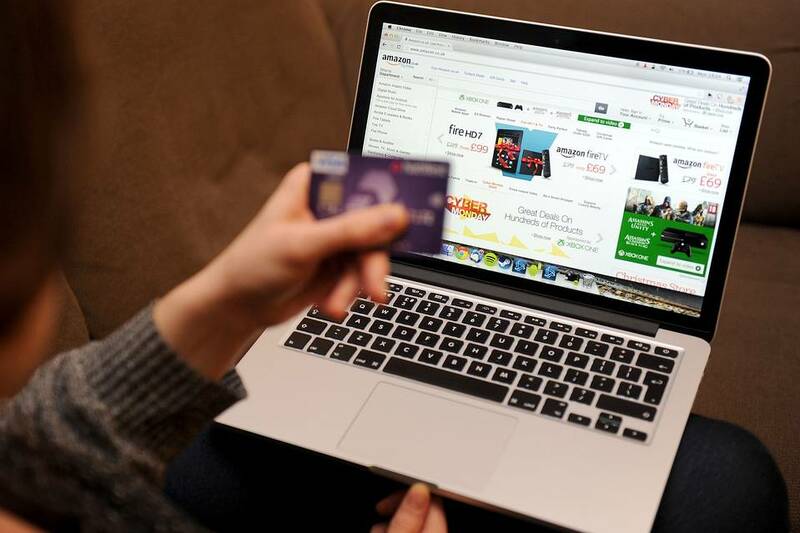 Consumers spent an estimated $4.45 billion online Thursday and Friday, with Black Friday sales rising 14% from a year ago, according to Adobe Systems Inc., which tracks purchases across 4,500 U.S. sites. It estimated that more than half of Black Friday shopping came from mobile devices. At Wal-Mart Stores Inc. about half of online orders since Thanksgiving have been placed on mobile devices, almost double the amount last year, according to the retail chain. At the same time, the Thanksgiving shopping ritual appears to be losing steam overall, blending into a longer holiday season that starts before Halloween and extends up until the hours before Christmas for some shoppers. Americans spent an estimated $12.1 billion at traditional stores over Thanksgiving and Black Friday, a decline from last year, according to ShopperTrak, which uses cameras to measure shopping. There’s a common misconception that science is purely about cold, hard facts — concrete evidence, mathematical models and replicable experiments to explain the world around us. It’s easy to forget that there are people behind the data and equations. And when people are involved, there is always room for human error. 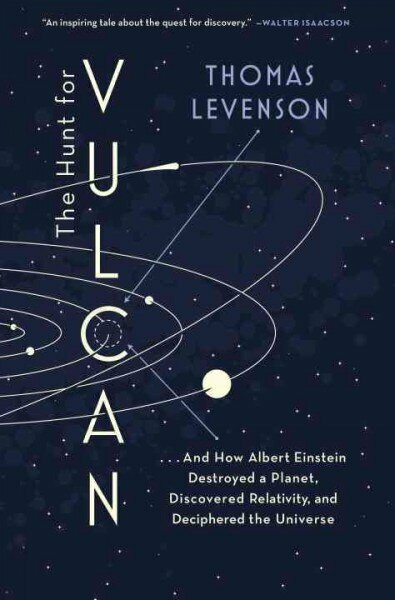 In The Hunt For Vulcan, author Thomas Levenson, a professor at the Massachusetts Institute of Technology, explores one glaring error that was taken as fact for more than 50 years: the belief that there was another planet in our solar system that we couldn’t see behind the sun. The mistake started with good science, Levenson says: the observation of something odd, and the development of a reasonable hypothesis to explain it. “In the mid-19th century, an extremely talented astronomer — a really, really top-flight guy — was studying the orbit of the planet Mercury, and he found that there was a wobble in it. There was an unexplained extra residue of motion,” Levenson tells NPR’s Michel Martin. 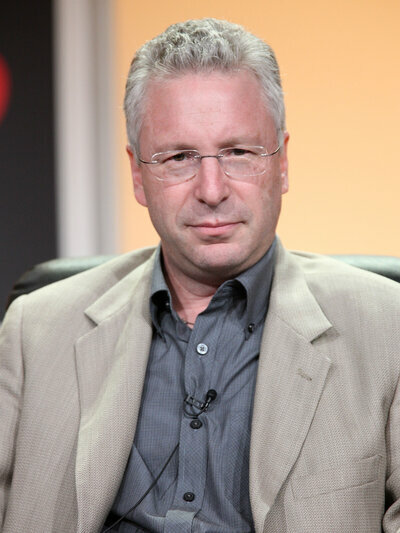 Professor Thomas Levenson, during the History Channel 2008 Summer Television Critics Association Press Tour. After the theory was announced, both amateur and professional astronomers reported that they’d actually spotted the planet. The planet was named Vulcan, and its orbit was calculated. It all appeared quite cut and dry. Then Albert Einstein came along. VICE News goes to the Central African Republic, to witness a brutal fight for economic and political control and find out what’s happening to those caught in the middle. Amazon has unveiled a new hybrid delivery drone that can fly both vertically, as a helicopter capable of landing in customers’ backyards, and horizontally like a conventional plane. The drone can travel up to 15 miles at high speed. The online retail giant released a video on Sunday in which the prototype is introduced by the former BBC presenter Jeremy Clarkson. The film shows the unmanned aerial vehicle rising up from an Amazon warehouse, flying over pristine countryside, then landing on an Amazon logo placed on a customer’s lawn. The hybrid is conceived as the prototype workhorse for Amazon Prime, the futuristic delivery service that aspires to carry purchases to customers within 30 minutes of an order. Close to 200 nations will be gathering in France to finalize a major international agreement on global warming. A fake iceberg inflated by Greenpeace floats on the river Seine near the Eiffel Tower in Paris. A major UN climate summit was scheduled to open in the city Monday. Tens of thousands of delegates and world leaders from nearly 200 nations will be descending on Paris on Monday where, for the next 12 days to two weeks, they’ll be hammering out an international climate agreement – one experts believe could be a major turning point in the fight to stop global warming. The accord – expected but far from assured – will not be enough to stop temperatures from rising by more than 2 degrees Celsius from pre-industrial levels, which scientists say is the rough benchmark for avoiding global warming’s worst effects. But after the misfires and mixed messages of the past two decades, last-minute withdrawals and heartbreaking collapses of prior summits, the anticipated agreement – if achieved – would enshrine serious commitments by nearly all nations to reduce their heat-trapping carbon emissions – finally, perhaps for the first time, capturing the political will for nations to work together to stop climate change. 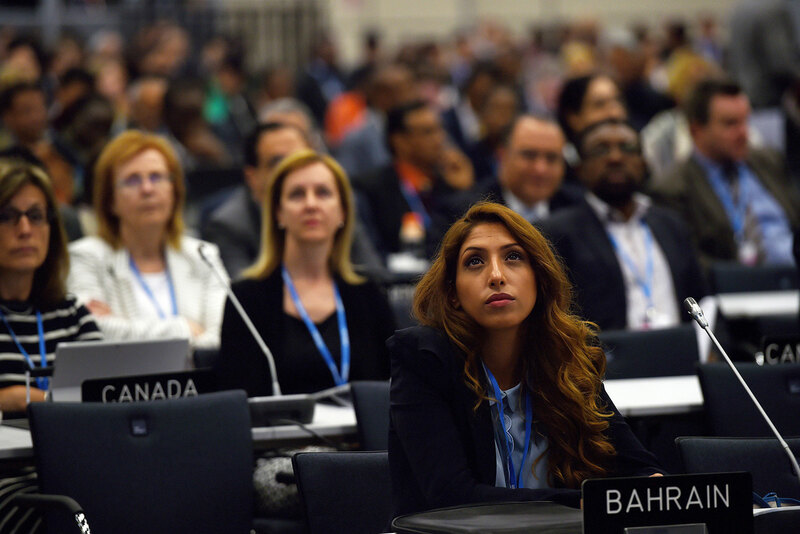 Delegates attend the opening ceremony of the United Nations Framework Convention on Climate Change in Bonn, Germany, in June. More than 40,000 delegates were registered for the Paris summit. So what’s this all going to look like? 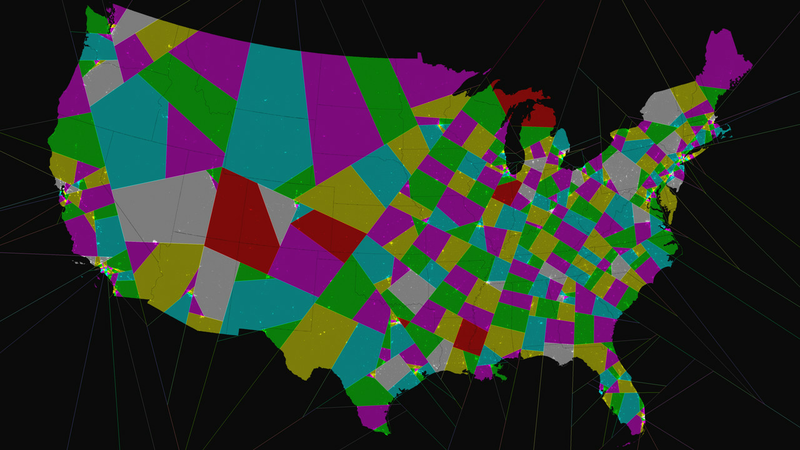 The map was created by the Center for Range Voting, which was founded by math PhD Warren Smith and engineer Jan Kok to float innovative election reform proposals. To make it, they used what they call the shortest splitline algorithm. Basically, they used the shortest possible line to cut a state into two halves with roughly equal populations. Then they did so again, and again, and again, until they had the proper number of overall districts.